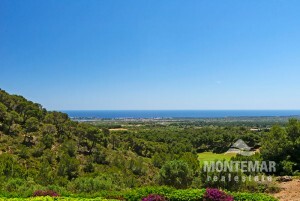 Luxury Fincas & Villas for Sale in Portocolom | Montemar S.L. 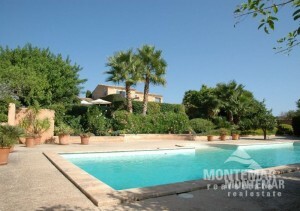 Once you have found the property of your dreams in our portfolio, you will be very close to your new home in Mallorca. The unique listings, also in Portocolom (often written in separate "Porto Colom"), can be viewed in detail on our website. If you are interested in one of these objects, please contact us. We will be happy to answer your questions about the new villa or finca and you will be able to find out very quickly whether the property meets your expectations in all respects. The modalities of purchase and transfer of ownership are no longer a real challenge; this is our daily business - and we prepare everything for you as swiftly as possible. Located on the eastern coast of Mallorca, Porto Colom is a place of relaxation and tranquillity. The harbour is sheltered from the wind and without great currents; it is a small and charming gem, from which the tourism trade, apart from a rather modest hotel district, still keeps some distance. The old town of Portocolom, Cala Marçal and other beach areas are also very beautiful. The ideal place for your new luxury villa or finca, from which all important destinations are in short reach. In the city itself there are all shopping facilities and good transport connections.